For the sixth year in a row, the Orange Group recognizes innovative projects that further development within the region. The objective of the prize is to stimulate entrepreneurial initiatives that use new technologies to meet the needs of people in Africa and the Middle East. More than 750 candidates responded to the call for projects, which ran from May to September 2016, reflecting the potential of the telecommunications sector to support development in Africa and Middle East in fields as diverse as healthcare, agriculture, education and energy. 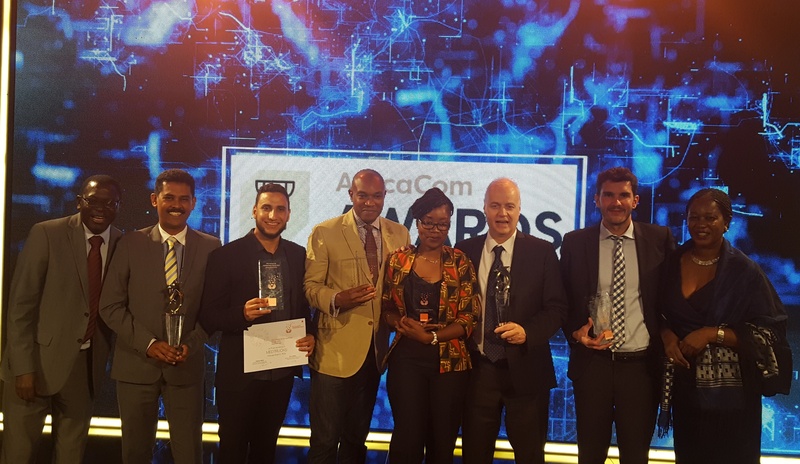 The prize aims to encourage start-ups in Africa to launch innovative projects that promote development, has been extended this year to the Middle East. A new award, the Special Prize for Cultural Content, has also been introduced. MedTrucks, Morocco: was created to support patients and healthcare professionals through the deployment of mobile care units in “medical deserts” in Morocco and other emerging countries. These hyper-connected trucks are fully equipped for all essential medical needs and rely on tele-medicine tools if necessary. MedTrucks is developing a variety of services including real-time cartography and tracking that will help optimize care service delivery to patients, as well as a medical online training platform for professionals. Nanoé, Madagascar: deploys a new kind of electrification system, known as “lateral electrification” to meet the short-term needs of remote populations that do not have access to the main energy grid. Nanoé seeks to offer rapid, flexible and affordable access to electricity, while participating in the construction of a cutting-edge power infrastructure that is low-carbon, decentralized, collaborative and smart. Nanoé’s project also includes a major training platform designed for future local-level operators. Ma Tontine, Senegal: seeks to solve the problem of how to provide financial services, including the provision of small loans, to the poor. It is based on a traditional, non-digital system, called the Tontine (in French), and enables the organization of rotating savings and credit schemes across a small group of people (colleagues, friends, neighbors, etc.). The innovation is to build a digital platform that automates this whole process and incorporates a credit-scoring system in order to facilitate small loans and other financial services such as micro-insurance based on the credit score of the group members. Bulles Magazine, Côte d’Ivoire: is a monthly magazine for 6-10-year old children that promotes African culture. Available in digital and paper versions, Bulles Magazine will be accessible throughout the Francophone world and beyond. The originality of this project lies in the fact that Bulles Magazine will tell children the story of the kings and queens who ruled the African continent long ago. Each month, children will read about African heroes of the past but also contemporary heroes such as renowned inventors from Africa. Designed in a highly colorful and illustrated format, the paper and digital versions of the magazine will facilitate its distribution across Francophone countries. FoodoGraphy, Egypt: a food-waste management platform that facilitates cooperation between food providers – such as hotels, restaurants, conference malls, etc. – and charities. Foodography aims to allow charities to collect surplus food that is still in good condition from these organizations in order to redistribute it to poor people registered with the charity. FoodoGraphy’s website will provide a directory that acts as a reference for charities and enables them to connect with food providers and organize the logistics of redistributing the surplus food.